LOUDOUN, Va. – Three-time MLS Cup winner and former U.S. Men’s National Team assistant coach Richie Williams has been appointed as the first Head Coach in Loudoun United FC’s history as the club continues its preparations for its inaugural season in the USL Championship this spring. A member of D.C. United’s squad in Major League Soccer’s inaugural 1996 season, Williams has been a longstanding figure in the club’s history. As Loudoun United FC’s Head Coach he will work directly with Dave Kasper (D.C. United General Manager and VP of Soccer Operations), Ben Olsen (D.C. United Head Coach) and Dane Murphy (Loudoun United FC Technical Director). Williams began his coaching career as an assistant coach at his alma mater the University of Virginia following his retirement as a professional player in 2005. The next year, he transitioned back into Major League Soccer after being named an assistant with the New York/New Jersey MetroStars assistant coach before being named interim head coach at the club in 2008. Williams took helm as interim head coach again in 2009 following the departure of Juan Carlos Osorio. In 2011, Williams was hired as head coach of the U.S. U-18 Men’s National Team and transitioned over to work with the U-17’s at the national level months later. He subsequently led the U-17 National Team to the FIFA U-17 World Cup in both 2015 with a squad that featured current full internationals Christian Pulisic, Tyler Adams. Following a second stint in Major League Soccer as Real Salt Lake’s assistant coach on Dec. 28, 2015, before serving as an assistant coach for the U.S. Men’s National Team over the past two years. 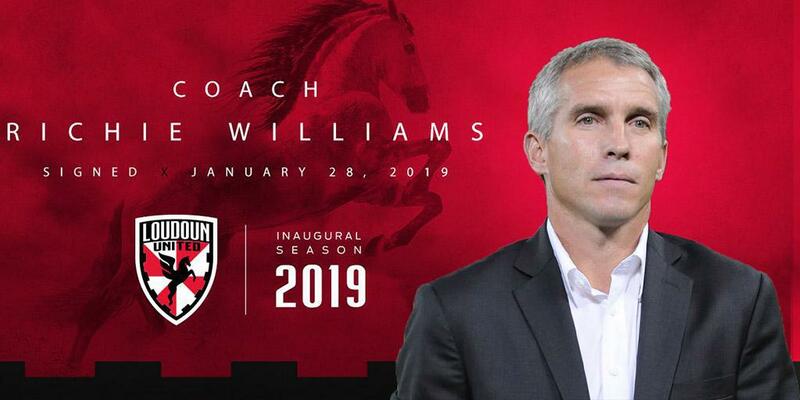 Prior to his entry to coaching, Williams had a successful professional career that saw him compete in the USL for the Richmond Kickers prior to the establishment of Major League Soccer, and while with the Kickers he helped the side claim the Lamar Hunt U.S. Open Cup in 1995. The following year he joined D.C. United, where he made 191 MLS appearances and helped the Black-and-Red claim three MLS Cups (1996, 1997, 1999), two MLS Supporters’ Shields (1997, 1999), a CONCACAF Champions’ Cup (1998), a Lamar Hunt U.S. Open Cup (1996) and an InterAmerican Cup (1998). He was inducted into the D.C. United Hall of Tradition on October 15, 2011 for his service to the club.